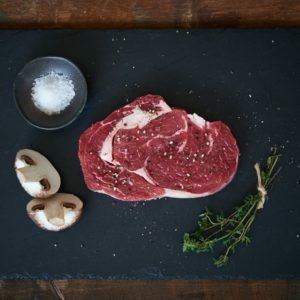 Only specially selected Rib Eye cuts are used for our full-on 42-day in-house maturation process. 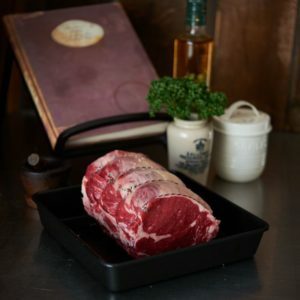 This treatment results in beautifully tender meat with fantastic flavour, perfect for an awesome taste treat. One of our most popular steaks, this is full-on flavoursome and tender meat. 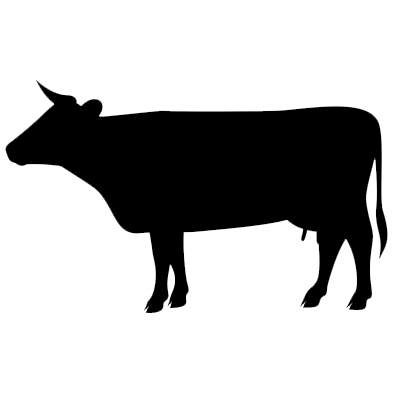 Its natural marbling and our maturation means great taste and melt-in-the-mouth tenderness. Simply fry in butter and serve medium rare for steak perfection. Boned and rolled, our 42-day dry-aged Eye of Rib Roast is super tender with intense flavour. We think it’s simply the best.